User intent will be driving search engine results more than ever this year. 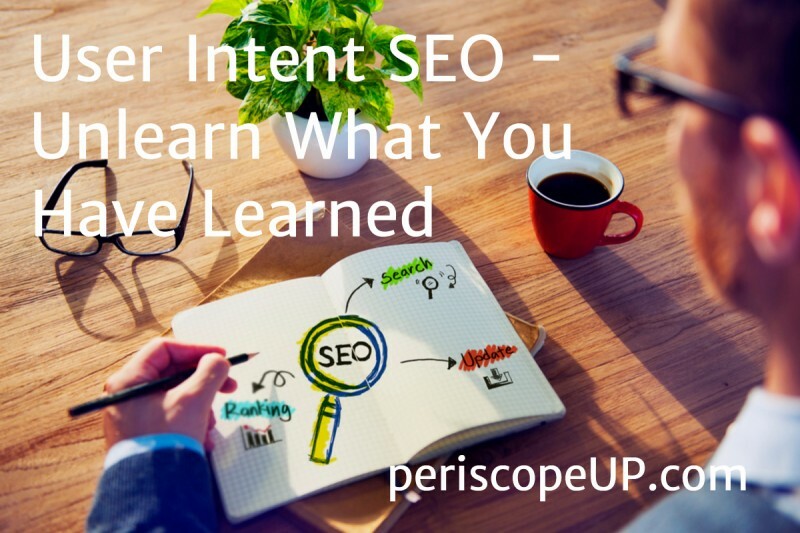 What is user intent SEO? Basically, it’s tailoring your content to respond exactly to what the user is looking for instead of optimizing for a keyword (KW). Does this mean keywords don’t matter? Of course not – but in the new age of user intent, keywords carry far less weight. Let’s find out more. For faithful readers (or those that just jump to the end), this post closes with a bonus tip to help improve your search rankings. Stay ahead of the SEO curve. Make Google love your site. Call us at (443) 475-0787 or Contact Us online. Let’s say you own a sports enthusiast website. You might want to attract Chicago Bulls fans so you include the keyword “chicago bulls”, right? But what if you want to answer a specific question like “what time is the bulls game tonight”? That’s where user intent comes in. Whoever asks that question wants a very specific answer. They don’t want tickets or gear – even though you might sell these. Now if your site answers precisely – like with an interactive page about each Bulls game – there’s a good chance Google would reward your for it. Even better, users will reward you by visiting and staying on your site. Now some might think this is just like long tail search strategy, and “what time is the bulls game tonight” could be a great long tail keyword. Still, with user intent, it’s better to write about tonight’s game in an engaging, value packed manner and not get obsessed with KW density. With the growing importance of local search, this approach can’t be overemphasized. Even back in 2010, Google let us know that synonyms affect up to 70 percent of user searches. How complex does this make keyword research? Imagine trying to compile data for keywords and all their synonyms… it’s enough to drive you nuts. The good news is that Google, and other search engines, truly want to give users what they’re looking for. That’s why artificial intelligence (AI) algorithms like RankBrain are being developed to identify user intent behind searches and then find sites that satisfy this – without giving preference to keywords. If you were looking for life insurance, would you evaluate a company by their website keywords or by how well they answer your questions? Ironically, by implementing AI, search engines are actually making search more human. It might not be wise to ignore keywords completely. Instead, they should be guideposts to provide truly useful answers to people’s questions, needs, fears or wants. Don’t bait and switch – If you sell nachos and cheese, then create content around that. Don’t try to trick gourmet cheese buffs to your site. This only increases your bounce rate which hurts rankings. Study your analytics – What KWs bring people to your site? Are they relevant to what you do? Write about these in a conceptual and informative manner. Think quality over quantity – Everyone wants a lot of traffic. Instead, focus on attracting visitors that hang out since they are truly interested. When you satisfy user intent, conversion rates increase. Here it is! Bonus Tip: Technical tweaks are low hanging fruit to improve how you look in search. It’s easy to improve your site map, page load speed and security – all of which can give you a leg up on the competition. Make your site brilliant with SEO content and technical specialists. Call us at (443) 475-0787 or Contact Us online.